Better looking and a sportier drive than its Z3 predecessor. Rear tyre wear on 3.0. Rims prone to kerbing. Can ground out on road humps. 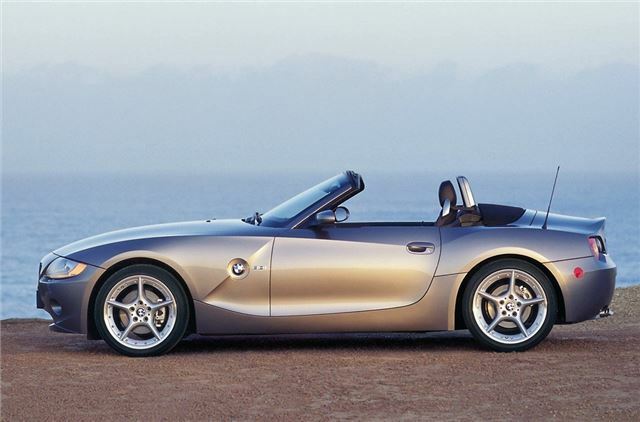 The first generation of BMW Z4 showcased the firm’s ‘flame surfacing’ design style. Coming on the heels of Chris Bangle’s radical new direction for BMW’s styling, the Z4 was a complete and welcome break from the previous Z3. However, the Z4 was styled by BMW’s Danish designer Anders Warming, so the car has its own unique appeal that helped it take on the Porsche Boxster directly where the Z3 had always trailed in the Porsche’s wake. Thanks to a spread of engines and dose of practicality, the Z4 also managed to challenge the Mercedes SLK and Audi TT to be a very competent all-round roadster. 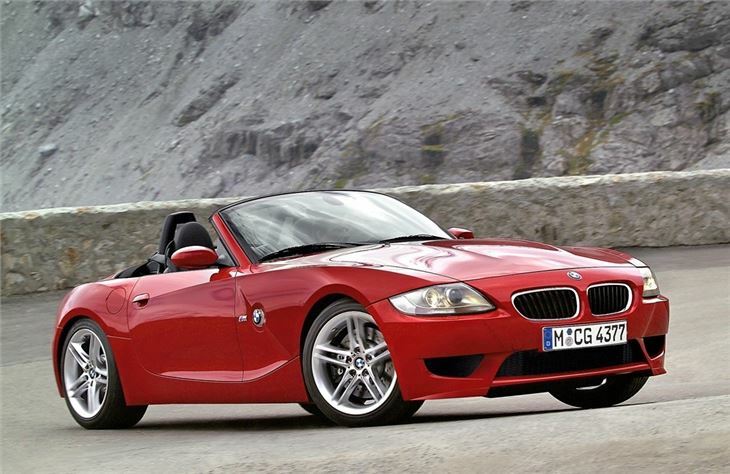 Produced in BMW’s Spartanburg factory in South Carolina it was obvious the main market for the Z4 was in the USA. That hasn’t stopped it being a success in the UK, which has been a strong market for the BMW convertible. A fabric soft-top aped the Z3’s design, but the Z4 features a glass rear screen for added comfort, noise suppression and security. It also makes it easier to defrost on chilly mornings to make the Z4 usable all-year round. Sticking with a classic front engine, rear-wheel drive layout, the Z4 enjoys perfect 50:50 weight distribution. It shows in the handling balance of the Z4, which errs much more on the sporty side than its Audi and Mercedes rivals. There is also quick reacting steering to deliver a keen driving experience. BMW fitted the Z4 with its smooth, sonorous six-cylinder engines from the start in 2.5- and 3.0-litre guises. Both offer strong performance and were joined by a 2.2-litre six-cylinder in 2003. This latter engine was superseded by a 2.0-litre four-cylinder motor in 2005 which, although slower than the 2.2, is smoother and more enjoyable to use. Engaging to drive, stylish and all round good fun, but there are caveats.